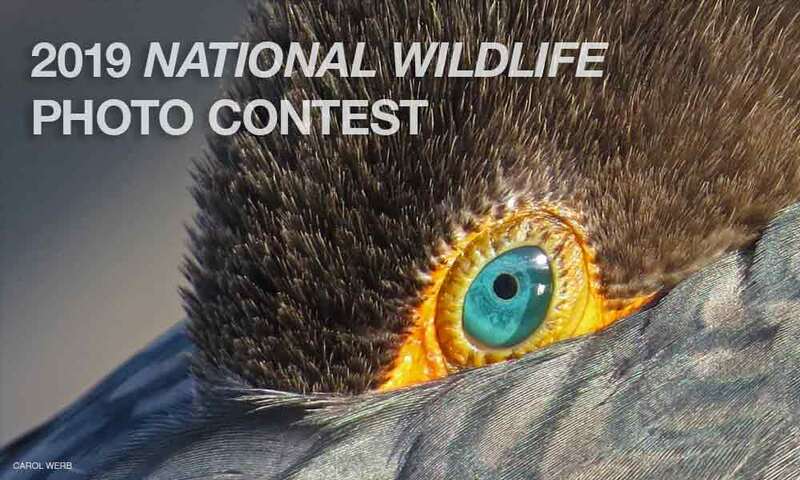 The 2019 National Wildlife Photo Contest is now open. Please visit photocontest.nwf.org. Entry Fee: Your fee helps support the National Wildlife Federation's work to protect wildlife and wild places. No limit to the total number of images. Enter one photo for $15. Enter up to ten photos for $20. Enter up to 15 photos for $25. Consider donating: The National Wildlife Federation greatly appreciates when photographers choose to donate some of their images. These donations help support our mission to protect wildlife and habitats. Photographers will always retain ownership and rights to their images. We encourage you to consider donating some of your images to the National Wildlife Federation to help us save the world’s treasured wildlife species and their habitats.